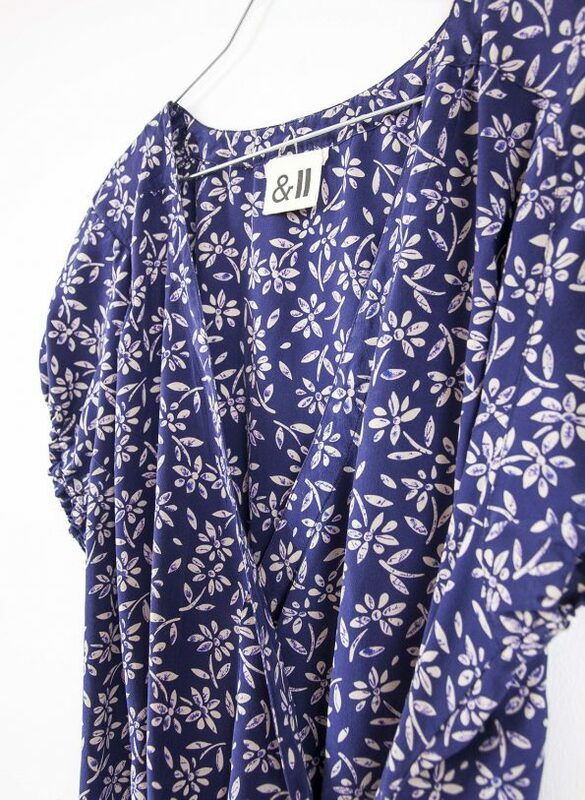 This 100% Silk wrap blouse is made with a purple minimal flower allover. Wrap the two sides together and you create a beautiful neckline. a little volume at the shortsleeves to make this style more feminine. Also great to wear with a (brique coloured) blazer on top to make a new colour statement with your outfit.